Cleaning your air ducts is not part of regular air conditioning and heating maintenance. The cost can vary greatly depending on the size of the unit, accessibility, and overall level of dirt. 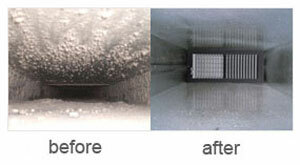 ServiceMaster DAK is the air duct cleaning company servicing Buffalo Grove, IL 60089 Chicago Northshore area. ServiceMaster DAK cares about your indoor environment.